As an MMA fighter and trainer specializing in Brazilian jiu-jitsu, Brandon “B-52” Medina is used to being hit and dropping bombs on his opponents. However, he met his match one night while crossing the street when a yellow cab going the wrong way in NYC hit him going 15-20 mph. “I was blind sided and I had no idea what happened. It felt like two huge guys attacked me. I went airborne and landed on my shoulder. My whole body went numb. I looked up and couldn’t believe that a taxi hit me! The adrenaline pumping through my body was so intense that I then got to my feet to get the taxi information as it sped off”, exclaims Brandon. Brandon went to the ER and had x-rays done of his shoulder injury and knee. They told him that he should see a shoulder specialist after the swelling goes down. He went to a “specialist” who told him that he just had a labrum tear in his shoulder and should hold off on surgery. “I could not sleep on my shoulder due to the pain nor could I raise my arm past 90 degrees. My arm felt so heavy that it felt like I was carrying a 20 lb. weight all day long. Every morning I woke up my shoulder was super stiff and I felt a burning sensation on the back of my shoulder. The burning sensation and constant pain of my shoulder was worse than being hit”, stated Brandon. 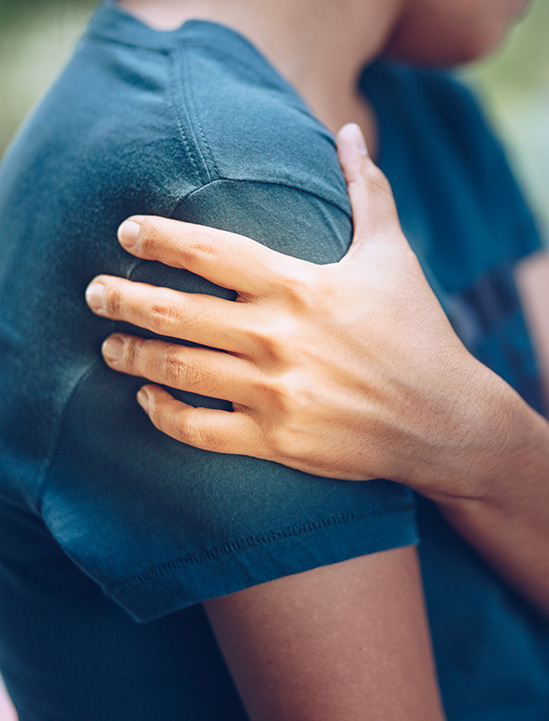 After Dr. Struhl reviewed the MRI and performed a thorough evaluation of Brandon’s shoulder, Dr. Struhl shared with Brandon that he actually had suffered a grade 3 ac joint separation and not a labrum tear. Dr. Struhl then explained how his modern ac joint surgery technique, the Closed Loop Double Endobutton, had a higher success rate with better results backed by his 11-year clinical study. He then shared with Brandon the countless number of successful surgeries he had performed on athletes, and how they were able to return to competitive sports. “Dr. Struhl went through my options and based on his patient success rate, his knowledge, and confidence I decided to schedule the surgery. I was even more impressed that he went the extra mile and made an opening for my surgery quickly during the holiday season”, exclaimed Brandon. “I know a guy from the gym who didn’t do his physical therapy and his range of motion suffered. So I followed all of Dr. Struhl’s recommendations from staying in the sling for the full duration, and the importance to take my physical therapy seriously. Soon as I took the sling off I couldn’t believe it. My shoulder felt stable again, and I was excited to start the physical therapy process”, shared Brandon. “I found a whole new level of focus and approached PT with the same mindset as I train and prepare for a fight. It took 3 months of physical therapy, but I was able to get my full range of motion back! It was just like Dr. Struhl said it would be, and I knew that I would be able to successfully compete again in the ring. The accident, the inability to use my shoulder, surgery and going through the physical therapy process gave me a new perspective on life and the way that I train”, explained Brandon. 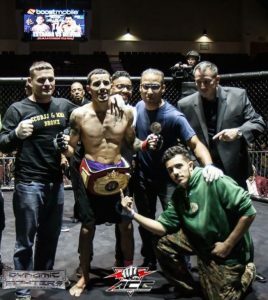 The following November Brandon was back in the ring in New York for the ACC MMA fight in the 125 lb weight division, which was the ultimate test for his ac joint surgery. Brandon knew that that Dr. Struhl did his job and his shoulder had no limits. Brandon won his biggest fight to date with choking out his opponent in the 3rd round! Brandon is on a winning streak and has aspirations of going pro. “If you really want to get back to 100% in a timely manner Dr. Struhl and his ACJ procedure is the way to go. He is the man. He saved my life. He made me feel very comfortable with the whole process. Dr. Struhl really cares about your body more than any other doctor that I have met. If you really care about your body you should not hesitate calling Dr. Struhl”, shared Brandon.